Twenty-five cent coins met their demise in our Residence Halls several years ago when laundry room washers and dryers moved to digital payment via student ID cards. Students no longer hoarded rolls of quarters before moving to campus or worried about jammed coin dispensers. Now students are able to monitor machine availability and check if the wash cycle is finished, all via the internet. 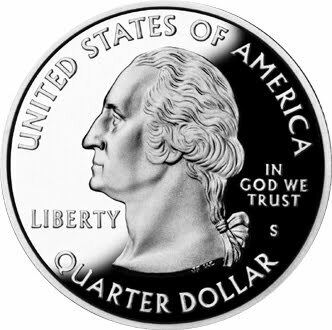 Quarters used to equal the gold exchange rate in the residence hall. How will students shed the dreaded first-year fifteen if not running up and down stairs to check the nuclear baking cycle of the dryer? Will student engagement suffer when no one is negotiating over the next available washer? Sadly, it appears quarter status has been relegated to drinking game only. This entry was posted in college freshmen, first-year experience, residence life, student affairs. Bookmark the permalink. I particularly enjoy that our res. life program has moved away from the use of quarters in our laundry machines. However, we have gone to a fee-based system in which all students pay a set semesterly fee for laundry.I think it encourages residents to wash their clothes more often, and promotes a cleaner, healthier community… especially in those communities heavily populated by atheletes. Athletes or non-athletes, from the volume of laundry that I see depart our residence halls each weekend, I think there is still a contingent that takes it home to dear old mom. Thanks, Brian!